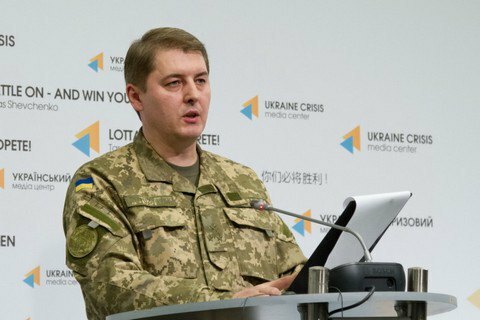 Five Ukrainian soldiers were injured on 28 November during the antiterrorist operation in Donbass, the press officer of the Ministry of Defence on the ATO issues Col. Oleksandr Motuzyanyk told a briefing on 29 November. "No fatalities reported," he said. Over the past day, the terrorists launched 38 fire attacks on the positions of Ukrainian military in Donbas. Earlier, the militants of the "DPR" gave written confirmation of compliance with the regime of silence and a ceasefire to conduct repairs on the water mains near Toretsk.